I am assuming that this is about getting numbers, so WG is encouraged to do more of these. As all you are doing is playing, anyway, sure. Probably what they were trying to put off. They probably know they have power-crept everything, but the workload to rectify that is huge. Time to face the music, address the power creep. How many arp ships could you win and also how do you hide them in the new game? 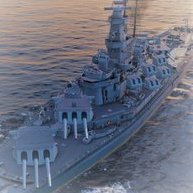 The Kongo and Myoko missions were the ones that had those requirements that had players doing everything but trying to win. That was the worst part. The Pearl missions for the Kamikaze R weren't much better. Seems the review process has gotten a lot more arduous. Thank you for your hard work. Finally got to your Patreon; about time I did. If the issue is rounds registering as penetrations not actually damaging the core HP pool, maybe the "solution" would be to add the HP of all the modules and other "stuff" to the core HP? If the toilet breaks, it counts against the HP pool, and so forth. It would also mean that the HP pool would be adjusted by captain skills and upgrades, if I understand how those work. Which also means ships with heals would benefit because the percentage works off a larger base? Damage farming would certainly increase, and there should be no more zero-damage pens, hopefully. Hmm. This could get complicated. Are all your drivers up to date? Have you run the Check & Repair tool from the launcher? With a new version, and 2 quick hotfixes, things could have gotten out of sync very quickly. Good luck. That's crazy. And what CV driver in their right mind focuses on a top-tier NC? Well done, in any case. And I am now a believer that sector switching is mandatory. A pain to do while maneuvering, though. Mejash was wondering if they could assign sectors to 2 keys, instead of that clunky interface, which sounds like a great idea. Possible explanation for such a bad experience in Randoms lately and how to fix it. So, revert to OBT(-ish)? Including the credit penalties for not doing well in higher tiers? Settings | Controls | Alternative Interface mode; set your level, there. Have you checked your system logs? Something severe enough to crash the system should show up there, in some form. The game seems to be getting bigger and more demanding. It could be that this last update is working areas of your system that wasn't a problem, before. Hope you find a solution soonest. Best lines for new players? IMHO, the USN or IJN lines. The original 2. Probably the least gimmicky, have to learn the fundamentals. Play styles are different enough to keep it fun. Just getting out of the summer fun period, It will be okay. 3 years ago. There were only 2 trees. CV's still had the big Delete button. Wyomings could see Lexingtons (I think. BBs had +4 MM?). CLs had ridiculous range and turret speed with AFT and EM. And I had even less clue than I have now. Fun times!